After leaving Naples, we headed to the Italian capital by train and arrived in just under two hours to continue our holiday. This trip was extra special as it was my sister’s first time visiting Rome. 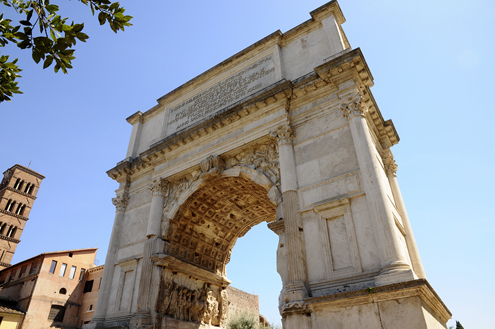 It was the second time for me, but this time Rome seemed even better. 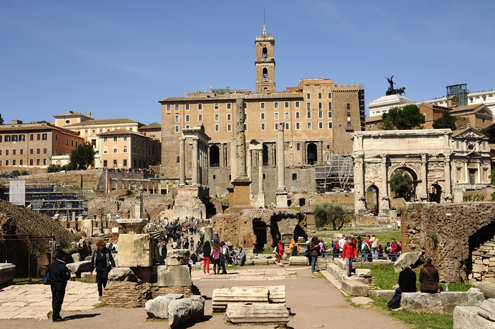 It’s a very special place—a living history lesson that simply astonishes. 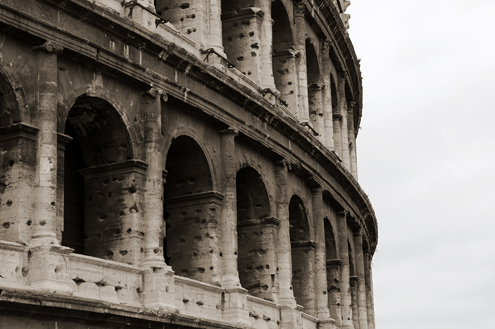 A trip to Rome wouldn’t be complete without seeing the Colosseum. 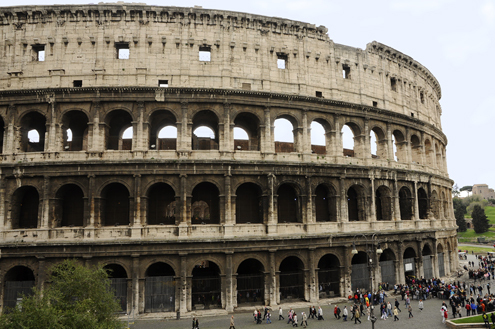 Construction on this “colossal” amphitheater began in 72 AD, which says a thing or two about Roman engineering. 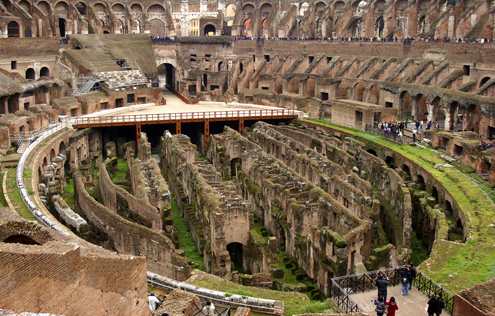 It could accommodate about 50,000 spectators for gladiator contests or other public performances. 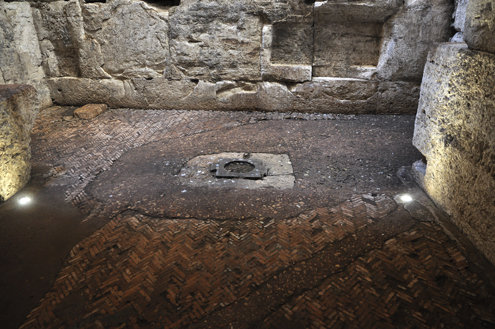 Currently, the subterranean level and the third tier are open to private tours— it was definitely well worth the extra money to see these areas up close. 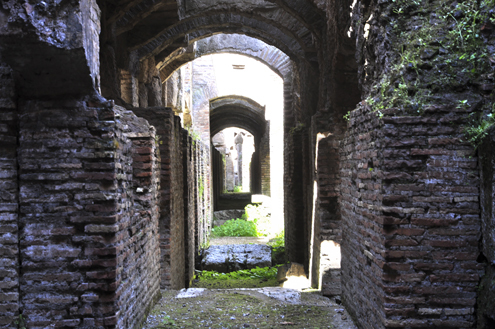 Lift shaft that raised animals up to Colosseum floor. 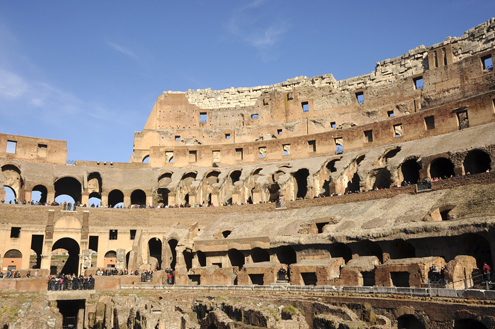 Standing on the upper tier of the Colosseum offered us spectacular views. We really got a sense of its colossal size from this vantage point. Amazing. 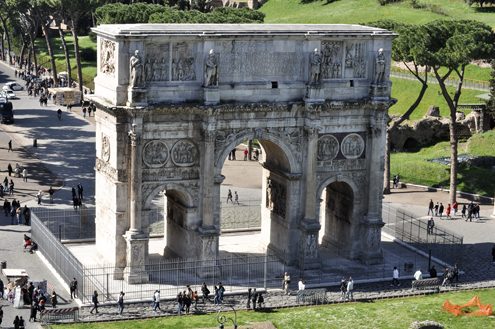 Near the Roman Forum and the Colosseum stands the Arch of Constantine—a triumphal arch to mark Constantine’s victory over Maxentius in 312 AD which, in turn, made Christianity mainstream. 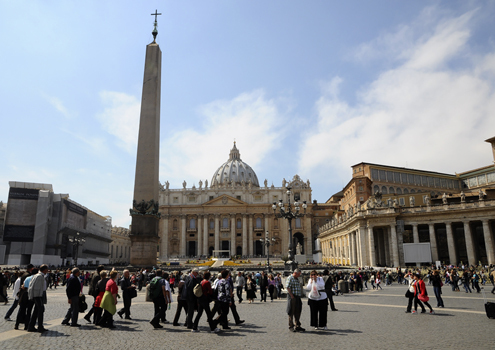 Staying on the topic of Christianity, a visit to the tiny independent city-state of Vatican City is a must-see on any Rome itinerary. 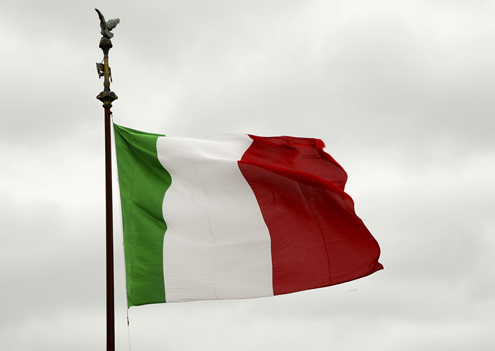 This small country (about 100 acres), ruled by the Pope, has its own postal system, currency, armed Swiss guards and mini train station along with the largest Christian church in the world (St. Peter’s Basilica), an immense museum (Vatican Museum), and Michelangelo’s masterpiece, the Sistine Chapel. So many treasures in such a small space. It’s magnificent. 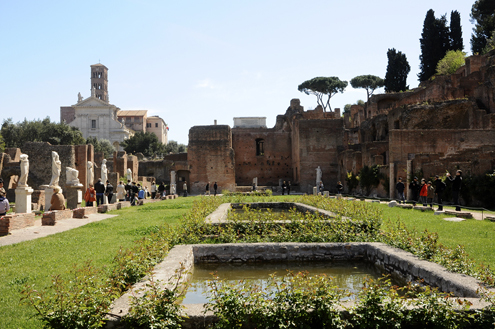 Capitoline Hill was once the center of Roman politics. 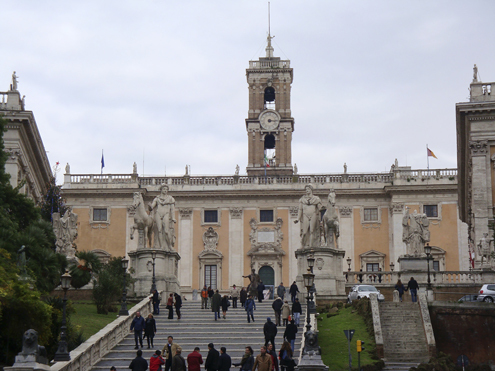 The square, the Piazza del Campidoglio, was designed by Michelangelo. 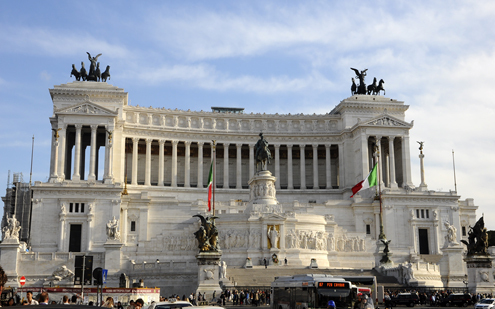 The National Monument to Victor Emmanuel II (Altare della Patria) was built to commemorate Italy’s unification and celebrate their first king, Victor Emmanuel. 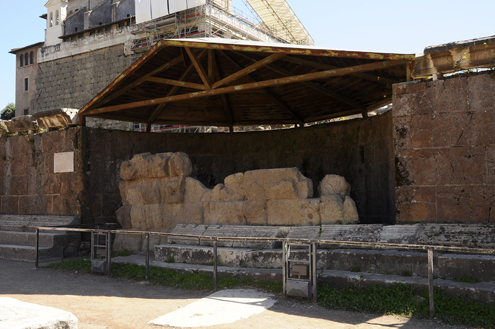 The statue of the king on the horse in the center is simply enormous. 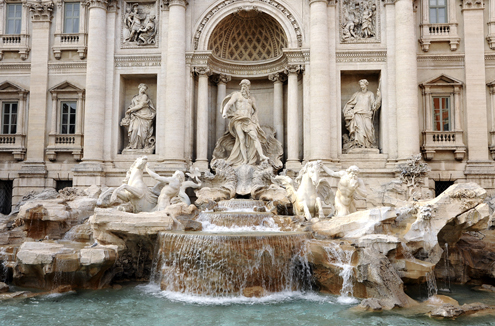 Trevi Fountain - One of the most famous fountains. 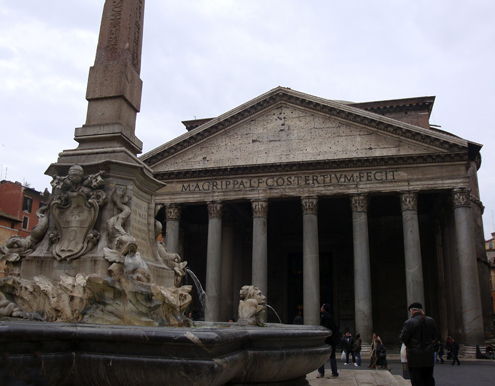 The Pantheon once served as a temple in ancient Rome and is still in use today as a church, some 2,000 years since its construction. 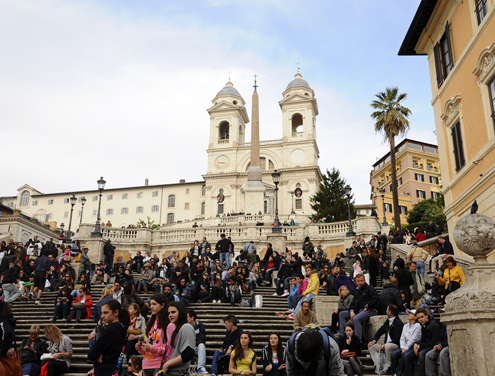 Spanish Steps - One of Rome's iconic sights. 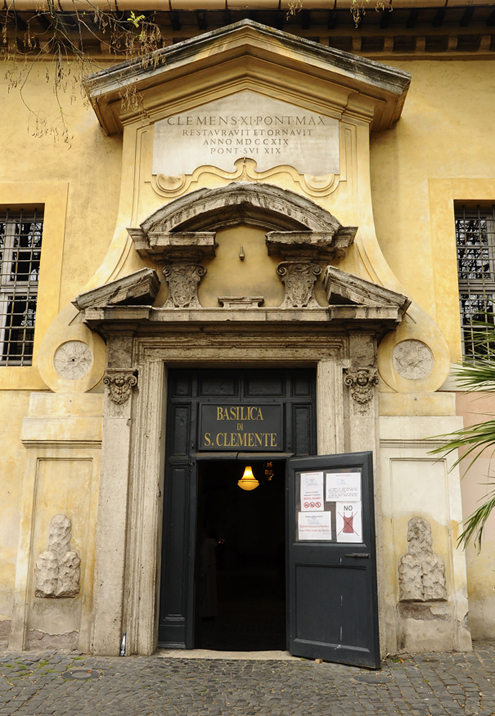 A brilliant example of Rome’s layered history can be found within the Basilica of San Clemente. 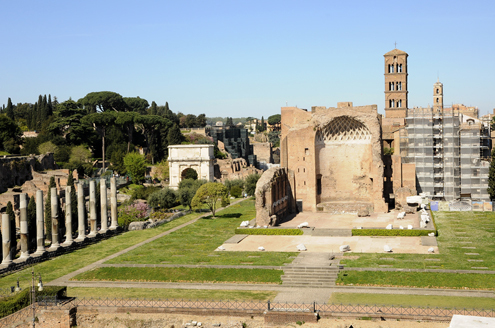 This 12th century basilica was built upon a 4th century basilica which was built upon a 2nd century pagan temple. A very interesting place to see. 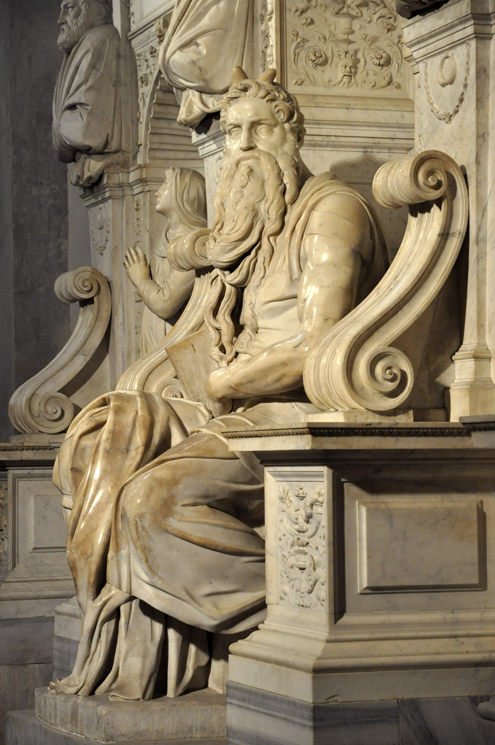 Built in the 5th century, St. Peter-in-Chains Church (San Pietro in Vincoli) is home to Michelangelo’s famous statue of Moses as well as the chains that held St. Peter. 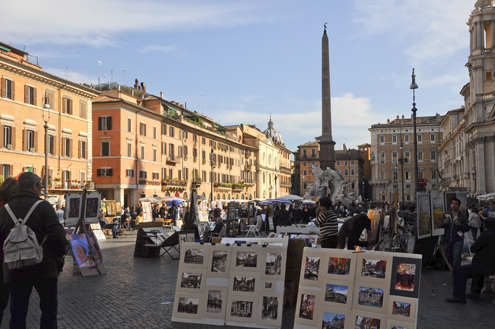 With so many sights, sounds and flavors to digest, one should never find themselves bored in this magnificent city. Even after all the pasta we consumed, we still managed to burn some serious calories walking through history.